Bad boys, bad boys. Watcha gonna do when they come for you? Co-creator and former executive producer of the hit series COPS Malcolm Barbour has been slapped with a brutal tax lien of $1,249,069.00. This has come in light of the ever looming tax deadline for this year, a mere few days away. Even though he retired from producing back in 1994, it seems he just can’t catch a break. This information was uncovered by out dauntless crew of researchers ever on the hunt for the latest story. While the news hasn’t broken yet officially, we’re determined to get you the certified copy, signed and delivered, of Malcolm Barbour’s actual IRS notice of a federal lien. It just goes to show that no one is above the law. Let’s just hope we don’t see him on any grainy cop car videos in the near future. You down with OBE? Yeah, you know me. Ms. Glenda A Bailey, editor-in-chief of Hearst fashion mag Harper’s Bazaar, is in hot water with the IRS. A notice of federal tax lien has been filed by a Revenue Officer in Manhattan. The debt is in connection with Bailey’s 2008 ($4,879,219.08) and 2010 ($154,441.63) 1040 personal income tax returns and was addressed to her 135 Central Park West digs at The Langham. This isn’t Bailey’s first tussle with the Treasury; in 2011 another notice of federal tax lien was filed in NYC for $317,424.93. Here’s the full PDF of the IRS lien pulled from NYC’s Department of Finance. We suggest Bailey claim her ConEd deposit and throw a few bones to Uncle Sam. According to our researchers in Los Angeles, California, George Lopez had a federal tax lien recorded in his name on February 27th, 2015. 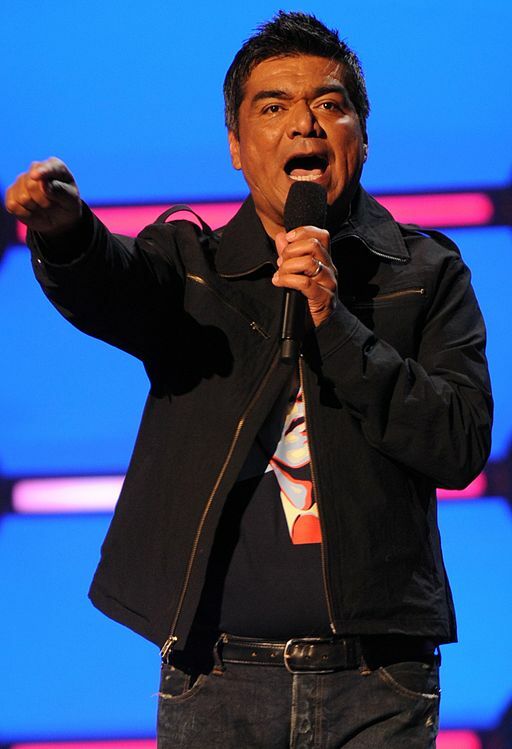 Uncle Sam says the famous Mexican American entertainer is on the hook for $721,530 of personal income tax. With a name as common as George Lopez- and FamousTaxLiens.com being the first to break this story- our wise readers might wonder if we’ve named the right Sr. Lopez. We’re certain that we do. This is the same as provided for George’s aptly named foundation, the George Lopez Foundation. Let’s hope this is simply another case of having too many houses to keep track of and will get paid pronto (looking at you, Robert De Niro). We’ve just received a certified copy of George Lopez’s IRS notice of federal tax lien from the Los Angeles County Recorder’s Office. The tax debt of $721,530.39 was assessed for his 2013 1040 personal income taxes, and the date of assessment was 11/17/2014. Sidney J Greehey, son of Valero Energy former Chairman and CEO Bill Greehey, didn’t stray far from the family business. He’s President of Donco Inc, a company that has won bids for large Bakken BLM leases (but doesn’t always follow through) and gives iPads to Montana gasland schools. But with gas selling near $2 a gallon it’s tough to pay the tax man. According to public records obtained by FamousTaxLiens.com, the IRS issued a $2,562,496.69 lien against Mr. Sidney J Greehey and Mrs. Cheryl B Greehey of San Antonio, TX on 2/24/2015. The Bexar County Clerk’s office-filed notice of federal tax lien has Mr. and Mrs. Greehey carrying a balance to Uncle Sam in connection with their 2013 1040 income tax return. According to The Daily Mail, De Niro was unaware of his outstanding 2013 income tax bill until very recently. Apparently the actor’s Tribeca condo has a rather full mailbox overflowing with Uncle Sam’s love letters. “He had a check for the full amount [$6,410,449.20] hand delivered to the IRS this morning,” state De Niro’s people via the venerable Daily Mail. Don’t forget to add the penalties and interest, Robert! We’ll dig up our favorite septuagenarian’s Certificate of Release of Federal Tax Lien once it becomes public record in a few weeks. Quite an eventful launch for us at FamousTaxLiens.com but certainly not the last story we’ll break. As promised, Mr. De Niro has paid off his IRS tax lien. Unfortunately, the federal government has already spent his $6.4M+ in the time it’s taken to write this sentence.